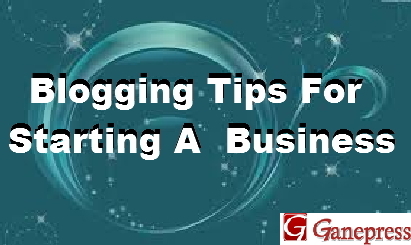 Apart of our interest in blogging, there might be other area that also attracted us to go into blog. 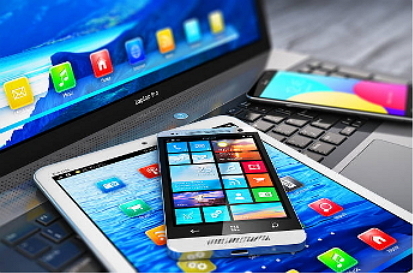 But whether we are publishers, information marketers, advertising our products or selling online, all our ideas is about getting traffic, making money and getting known by people, then having large readers’ attention on our website mostly on blog. Therefore, it is necessary to know how to increases our readership and draw more attention of your readers to our blog. Here in this post am going to highlight nine (11) ways to increases blog readership as easy as possible to have more readers viewing our blog. Using a good Navigation will help to increase blog readership and let people to find our page interesting within the blog. A page navigator will make visitors to stay more much longer to enjoy reading the post while surfing the pages to view more the content. If our visitors find the key pages within the blog, their visit to our blog will be a much more enjoyable experience for them reading the post because they find our navigator interesting to them. If don’t want to be judged on the last post on your blog, increases the number of pages viewed by readers increase readership. Besides, trying highlighting some of the related posts on static page on our blog is also important. The related post must be a kind of recently post that the readers might likely interest to reads. The similar idea also is to highlight the related post within the content of our post. 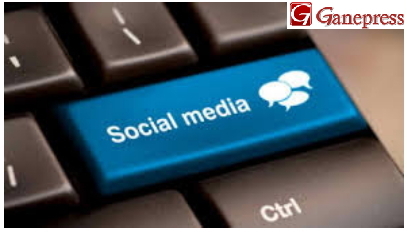 And if you are discussing on a particular topic that you want to refers, you can use related post, or make use a links within your content of post to refer the readers to other pages. 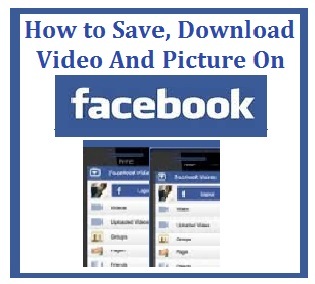 There are blogs that uses fitted plug-ins or manually use related post on blog that readers can easily see to read more of such current posts. This will help to refreshing all the posts titles to up-to-date as we posted them on daily basis. 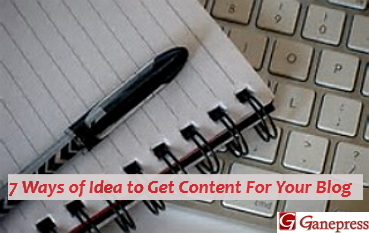 Writing a particular subject and stay on that content also play an important role in increases blog circulation. We need to know what our blog stands for and ensure we stick to the descriptions of the blog. Blog that have descriptions can easily be found on Google search engine. If blog doesn't have any niche, try to give it one. Stick to your niche. Readers like blogs that are being focused on particular topics. It doesn’t necessary to be posting or writing any subjects that comes to one’s mind because readers might likely get bore if they don’t find such titles of post or the content passionate. Therefore using a meaningful topic on any post to write the subject matter and stay focus to it. It is always an idea to highlight our best posts among all other posts we posted on our blog. We can always do this with a links within the content of the post especially when referring back or mentioning some specific subject on particular title post. More so, using tag or category on main page is very important. Readers can easily point out some of the best topic discussed in the past on it. Sometimes, readers do get interested on some past post or specific topics through the categories. It helps readers to easily click to view and read more of the past posts. I will not emphasis much on this because I do mentioned it in one of my post. 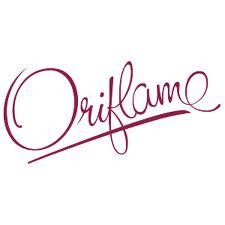 Posting in forums helps a lot in circulation of our blog. Few of the bloggers know that this is very important in helping our blog to go round. It doesn’t need to spam but posting something interesting and fresh. Some of these forums don’t allow posting if you are first timer except you participated first in the forum for awhile before one can begin posting. While post in forum there’s need to put a link that will aid to refer of people to your blog. Don't just post in any forum; search for one that can benefit your blog. Updating help to increases our blog readership. It is possible to get more targeted traffic from the search engine if we updating and post regularly. Readers are more enjoyable when sees any updated posts with a new shape look, content, topics, theme and new templates design. Readers will keep coming back to check daily on such a blog for more but you have to be careful because too much of updating can harm your search engine position. Be wise! Apart of social media and sharing buttons we already have on our blog for visitors to use in sharing our posts; we need to still add more button to popular readers. I do that on my blog by added more buttons to some popular readers. There are other add buttons you can add to your blog like blogline, yahoo, blogdigger.com, pingomatic.com, stumbleupon.com, and other services like pingmyurl.com and freewebsubmission.com. We can use some of these add buttons to pings, shares, backlinks all our blog post to other readers and search engine whenever we update our blog. See: 8 Social Media Tips to Promote Your Business. I have also listed few of these services we can use to pings and share our post to other services on my blog. Check on them! This is very interesting and majority of the bloggers only post without knowing that if they don’t submit their blogs to any search engine, people surfing the web will not easily find them. Submitting our blog to search engines make people to locate our post and easily click on them. Search engine help with a targeted traffic. When we write a good title post with a good description to our blog, people will find the posts with a provided title links. 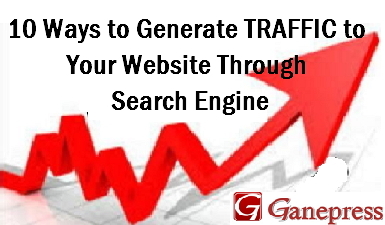 To know more about submitting to search engine see: 10 Ways to Generate Traffic to Your Website Through Search Engine. Thinking of writing your content as if you were in a conversation with friends in a casual tone is a way of drawing more readers’ attention into your blog. When you do, your readers are seeing you as an interacting writer. They will keep coming for more to see what you posted next. This is a key that actual direct other to view your blog when you leave a comment on others blog. I have tried this and it works because other members would eventually visits the blog to know from, or the person that dropped such a comments. When you leave a comments or not a lazy comment but astonish one that make publishers and other blogger to marvel and they visits your blog. This increases the blog circulation and the blog will be well-known by others. This happened to me recently when I was away for some time and I do not post new topics, or any new content on my blog for a specific period. When visited the blog I discovered that same traffic I left with was still found on my blog. So, I understand that if anyone visits your blog and discovers same content you posted for about two week or three weeks was still found on your blog, they will probably be disappointed and leave for another blog. If you don't post regularly, people may give you benefit of doubt and still come back on a few days to check, but if they still not see any new post they may not come back again. We need to know that our readers can lose interest if we don’t post regularly. If you’re a person that does schedule post and you suddenly stop posting for awhile, you will definitely loose readers unless you are well-known. We need to avoid not posting for some period of time. Posting regularly helps us to keep readers intact and also encourages more traffic to our blog. Finally, there are more ways we can increases blog circulation. 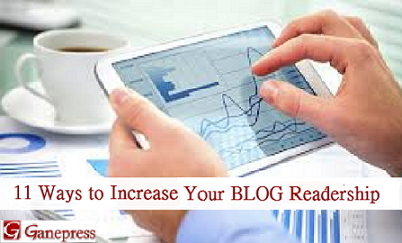 This few tips can help us as headway to have more readers on our blog. If really want to build and increase blog readership, we’ve got to have good topics and quality content. And, if our post is interesting to the targeted audience, then our blog is tend to go much far. This is the best possible ways to increases readership. Trust you get all that!